LODZistics is a bottom-up initiative for employers operating in the logistics industry and other entities interested in the development of this sector. We operate in the whole country, with particular emphasis on the development of Central Poland. The main aim of the LODZistics is to establish a professional centre for co-ordination of the logistics potential development in the Lodzkie region and to advance its international competitiveness. The initiative has brought together businesses, R&D entities, business support institutions, while being also open to local government bodies, individuals or legal persons active in the sector of logistics and transport. The focus of Network’s activities is on: promoting closer collaboration between the members; supporting innovation and technology transfer; participation in expert consultations; influencing the shape of the labour and education market; promotion. Coordinator of the LODZistics cluster – ASM Market Research and Analysis Centre – has 14 years’ experience in EU research projects (over 40 projects, 8 of them coordinated). LODZistics as WP1 leader will be responsible for overall coordination and administrative management of project, communication with European Commission, quality management. In the frame of the project objectives LODZistics will also coordinate WP5 dealing with dissemination, community building & networking activities. 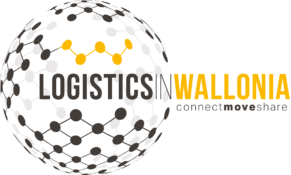 Logistics in Wallonia is one of the six competitive clusters recognized by the Walloon government within the framework of the Marshall Plan launched to boost the Walloon economy. Logistics in Wallonia carries out three very complementary basic missions in order to ensure that Wallonia really is a ‘land of logistics’. Innovation. To stimulate and encourage technological innovation from enterprises within the sector, along with cooperation between enterprises and universities, we have set up a department dedicated to innovation. Networking. By organizing meetings for members and work groups, along with making available and communicating information from the sector, we ensure that there is a network for those involved in Transport and Logistics. This vital mission enables us to meet players from our sector, to get to know and understand them in order to include them, where appropriate, in innovation pro-jects. Promotion. One of the three axes we have selected is to promote the advantages of Wallonia in terms of transport and logistics beyond our own borders. This is in particular carried out by taking part in shows, conferences and meetings. LiW has significant expertise in innovation and project management. Some actions were destined to the food sector due to the specific logistic requirements of this branch of activity. Moreover, LiW also manages a program (Lean and Green) which aim is to coach logistic and industrial companies to reduce their CO2 emissions. AgroTransilvania Cluster, based in Cluj, is a professional association of 70 members in the field of agri-food (including input suppliers, farmer associations, processors, 3 universities, 5 research institutes, 1 commercial bank, 2 consulting companies, 2 local/regional authorities, distributors, catalyzing institutions). AgroTransilvania Cluster is created to support the development of agriindustrial sector, by increasing the competitiveness of the association itself and its members individually, both on national and international market, based on a common development strategy. The main activity of the association represents the integration of all these entities into a sustainable and competitive value chain, that could bring notoriety and visibility to Transilvanian’s local products. The vision of the cluster is to become an integrative pole of sustainable development of agroindustrial sector in Transylvania (Nord-West of Romania) and to support the sustainable competitiveness of the agri-industrial sector. The mission of the Agro-Food-Ind Napoca Cluster (AgroTransilvania Cluster) is to promote collaboration and cooperation between business entities in the agricultural industry and encouraging competitive restructuring of the sector, as well as ensuring participation in multiple commercial project, both national and international. In this regard, members of the “Agro-Food-Ind Napoca Cluster” decided to join forces to support the development of the agro-industrial sector, with the aim to build on the competitiveness of the association – both on the national and international markets. The assumed mission is to become an Integrative Pole of Sustainable Development of Agri-Industrial Sector in Transylvania (Nord-West of Romania) (Supporting of the Sustainable Competitivity of AgriIndustrial Sector). The cluster includes various members with direct/indirect implication into agri-food sector: input suppliers (tools, machines, software etc. ), producers, processors, manufacturers, distributors, universities, consultants and administrative authorities. The main activity of the association represents the integration of all these entities into a sustainable and competitive value chain, that could bring notoriety and visibility to Cluj local products. COEXPHAL (est. 1977) is an association of cooperatives and enterprises in the province of Almería, Spain, that harvests and exports fruit and vegetable products. It is responsible for 65% of fruit and vegetables grown in Almeria and 70% of all exports. The associated enterprises produce a total of 2 1/2 million tonnes annually, with a turnover of 1,700,000 Euros. 23.100 hectares are under cultivation by its 9.300 growers and through the commercialization of products by its partners. It employs 40.000 workers from more than 150 countries. COEXPHAL main challenges are developing, improving and innovating in the agricultural sector, with the aim to promote the development of a sustainable food system. Originally initiated to help farmers organize, sell product and to export to other markets, it now functions to aid its members in a wide array of areas. 85% of their members (100 in total) are cooperatives and social enterprises. It has a well developed department of R+D+i and a clinical analysis laboratory. Coexphal has two offices of more than 500m2 and a laboratory of 3000 m2. Lecture rooms and an auditorium accommodate small and large groups..The 50 employees come from departments offering the following services: education and training, marketing and external promotion, research and statistics, communications and press, insurance, human resources and immigration, grant administration, risk prevention, a travel agency, and quality control. In addition it has an OTRI and a laboratory dedicated to agricultural innovation, biological control and clinical analysis. COEXPHAL has many international contacts and visiting researchers from many countries and has the infrastructure to provide for their needs. They offer courses which combine farm and cooperative site visits, lectures and interaction with cooperative entities and administration representatives. Latvian Logistics Association (LLA) is a voluntary association of legal entities and private individuals in Latvia. Organizations and specialists in the fields of logistics and customs have joined in LLA with the main goal to promote international trade, ensure safe and reliable cargo flow through Latvia and develop logistics and customs brokers’ activities in Latvia. LLA (formerly – Logistics and Customs Brokers Association of Latvia) was founded in 1997 and was the first organization in Latvia set up with clearly stated intention to support customs brokers as professionals. LLA is active in co-operation of the Supply-Chain Council (https://supply-chain.org/ ) who are developing and endorsing the SCOR model, as the cross-industry standard diagnostic tool for supply- chain management. LLA is in active co-operation with European Logistics Association and CONFIAD Pan European network also. Latvian Supply Chain Cluster (LSCC) is a branch of Latvian Logistics Association established with financial support of Ministry of Economics of Latvia. LSCC as consortium of leading manufacturers, logistics and R&D institutions, is established with the primary goal of value creation for all supply chain partners, including manufacturers, suppliers, distributors, customers, and customers’ customers. LSCC core competence is Supply Chain Strategy development and implementation for particular market or segment in order to operationalize and support companies’ business strategy. LSCC’s long term corporate level strategy is to position LSCC as green TEN-T core network infrastructure based Supply Chain Cluster. LSCC current focus is facilitation of the productivity of business and network processes by using SCOR model, as the cross-industry standard diagnostic tool for supply-chain management. LSCC is open for a new members interested in co-operation between business and research as well as national and international networking in the field of logistics and supply chain management. LSCC was benchmarked according to a benchmarking approach developed and performed by the “European Secretariat for Cluster Analysis” of VDI/VDE Innovation + Technik GmbH (www.clusteranalysis.org). By participating in this benchmarking the cluster organization has expressed its interest in striving for cluster excellence and is awarded with the European Cluster Management Excellence label in BRONZE (LVA001201401C140159). The benchmarking took place on August 29th, 2016. The certificate expires on August 29th, 2018.